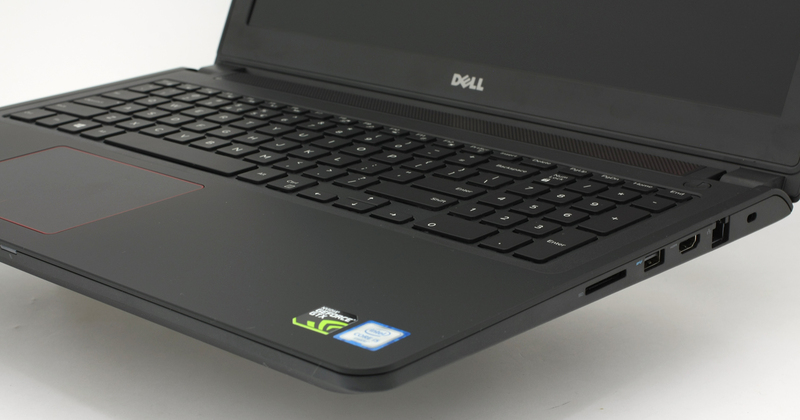 Dell is way more popular with its mainstream, budget and workstation notebooks than it is in the gaming segment. Actually, Dell as a corporation is pretty much leading the high-end gaming PC market behind the scenes with its Alienware subsidiary, but the latter remains differentiated, and that’s the right way to go, precisely because of our initial statement. So, Dell is far from cannibalization with Inspiron 7559, but tries to settle its positions in the “mainstream” gaming class, offering an affordable notebook with some gaming DNA. It’s equipped with the appropriate GTX GPU (960M GDDR5), Intel Core processor with standard voltage and an IPS display. That makes the gaming market even more competitive and interesting. The rivalry here is stronger than ever with the new ASUS ROG GL552VW, ASUS ROG G552, Acer Aspire V15 Nitro and Lenovo Y700. You won’t be surprised by anything that comes with the laptop. 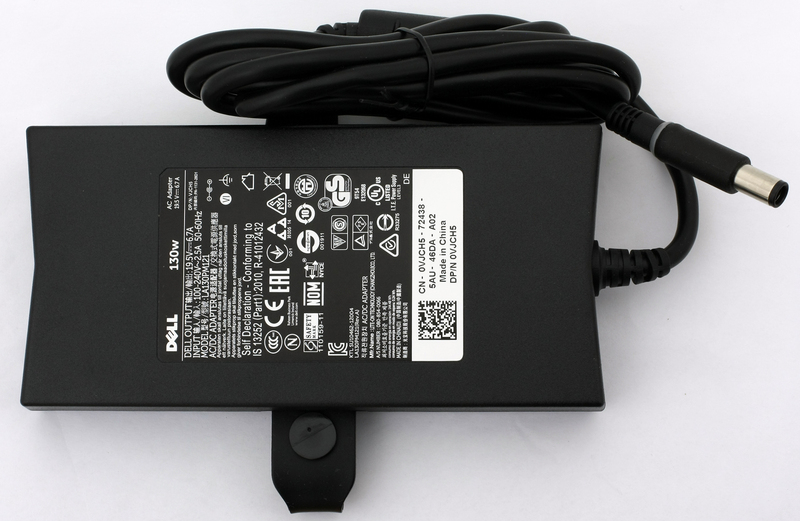 In addition to the Inspiron, in the box you’ll find its Lite-On LA130PM121 charger (130W), and a couple of manuals. 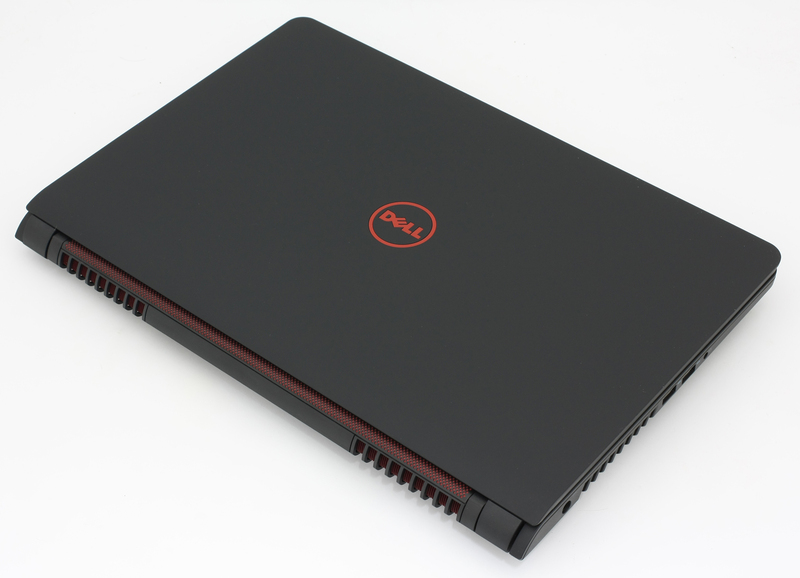 The new Inspiron should be suitable for professional work as well, and perhaps that’s why it doesn’t look like the typical “beast”. With the lid closed, Dell Inspiron 7559 looks rather elegant, with nothing particular grabbing your attention. The Dell logo is red, and not an aggressive red, but more of a soft “Bordeaux” color, instead. 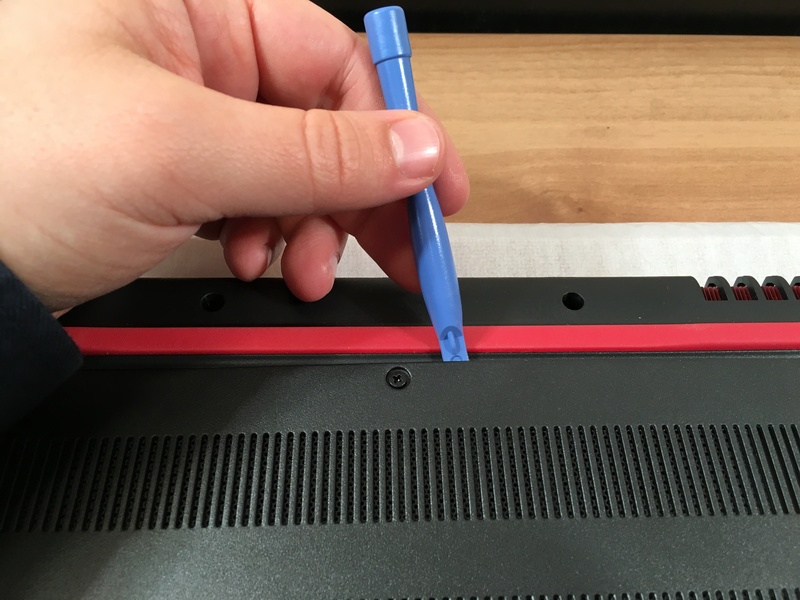 The whole panel is covered with matte rubber – it doesn’t attract a lot of fingerprints and smudges, and it can be cleaned up quite easily. We really liked that. 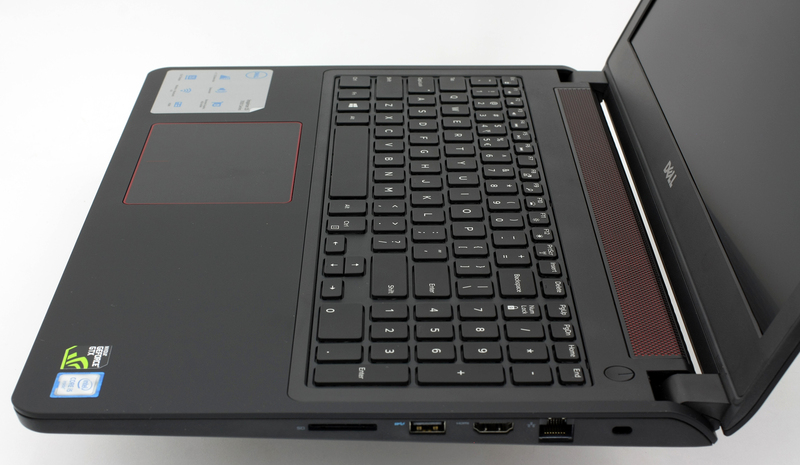 Fortunately, Dell has kept the same style for the interior where the palm rest has the same rubber coating, and the trackpad is surrounded by a thin red line. The speaker grill has the same color and lies almost side to side, covering both of the front speakers. There is a subwoofer at the bottom of the notebook, but we’ll take a look at that a little later. The keyboard of Dell Inspiron 7559 has slightly smaller keys than we would like (15 x 15 mm) but that’s a small price to pay for a NumPad panel, on the right. Some gamers won’t be happy with the size of the arrow keys too, and especially with the fact that the “Up” and “Down” keys are right next to each other. On the bright side, we have a nice looking white backlight – additional proof that 7559 isn’t built just with gamers in mind (you don’t see gaming notebooks with a white backlight everyday, right?). Despite the smaller size, the keyboard has good feedback and key travel, so most probably, it won’t take you long to get used to it. Unlike the keys, the trackpad area is rather generous (102 x 78 mm). That will come in handy when using gestures. The Left and Right cursor click buttons are hidden behind its plate and are divided by a little thin red line in the lower center of the trackpad. We don’t have any complaints over its accuracy or surface – it’s quite convenient to use. On the left side of the notebook are the Power-adapter port, two USB 3.0 ports and an audio combo port (for headset, headphone or microphone). 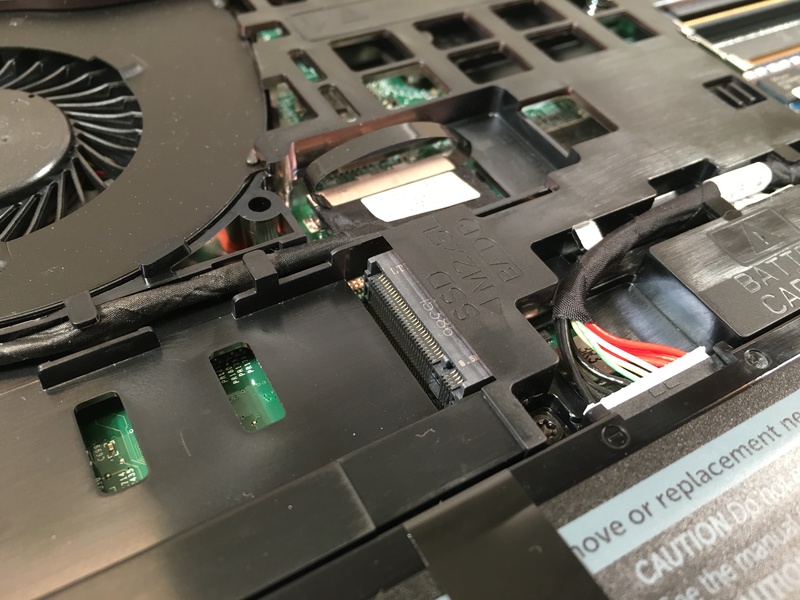 Also there is one of the cooling vents, and that’s a good position since we don’t like the right-positioned air vents in gaming laptops – they tend to cause discomfort, blowing hot air into your mouse hand during long and intensive game sessions. Instead, the right side is populated with an SD/MMC card reader, USB 3.0 port with PowerShare (you can charge other USB devices while the computer is turned off), LAN port and Security-cable slot. The back has nothing but two more air vents for the cooling system, while the front has a little “Power and battery‑status” LED in its center. 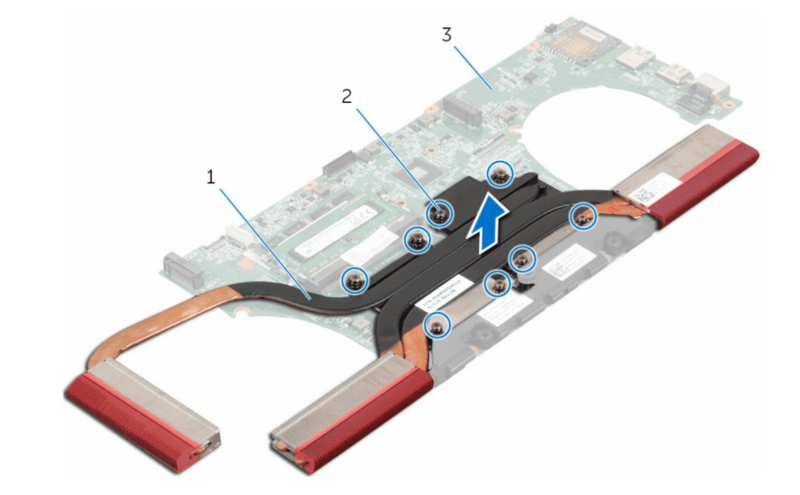 It’s pretty easy to reach the most commonly upgraded and serviced components in Inspiron 7559 – RAM, HDD/SSD, cooling system and the battery. The latter should be disconnected before maintenance by means of the cable in the red circle in Picture 4. To access it, you have to take off the base cover by loosening its captive screw. Good news! Inspiron 7559 has an M.2 slot for additional, faster storage. Unfortunately, it isn’t PCIe, but rather SATA III based, which means that you can expect transfer speeds limited to around 500MB/s. 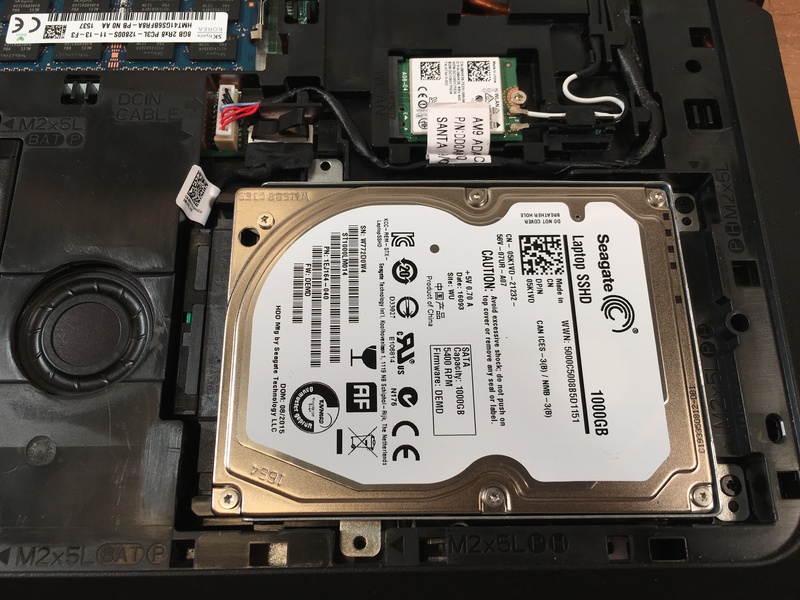 In our unit, the M.2 slot is free and the 2.5-inch one is populated by Seagate Solid State Hybrid Hard Drive (ST1000LM014) with a capacity of 1TB. There are two DDR3L RAM slots, but in our case only one of them is in use. 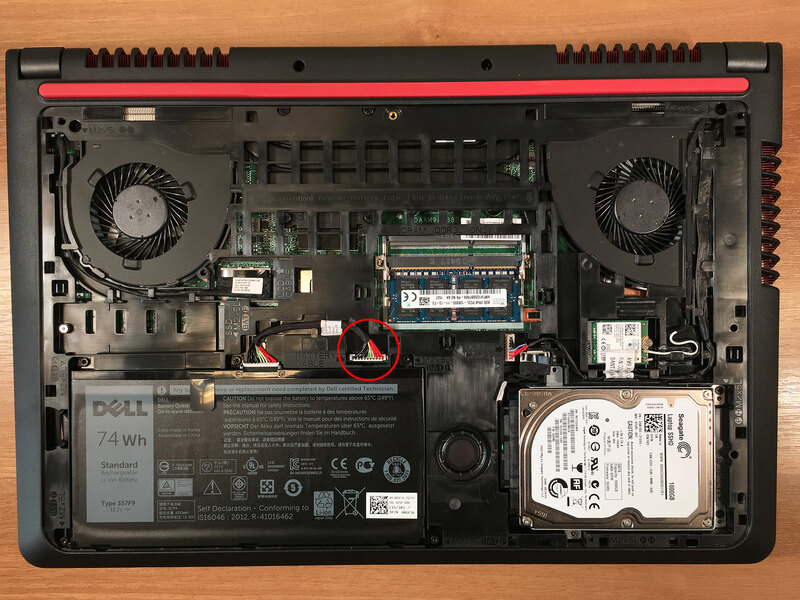 Dell Inspiron 7559 has 8GB SK Hynix 2Rx8 PC3L-12800S RAM, so it could be easily upgraded to 16GB, adding 8GB in the other slot. We also have an Intel Dual Band Wireless AC 3165NGW AC3165 module, so it supports the 5GHz band if your router is 802.11ac as well. 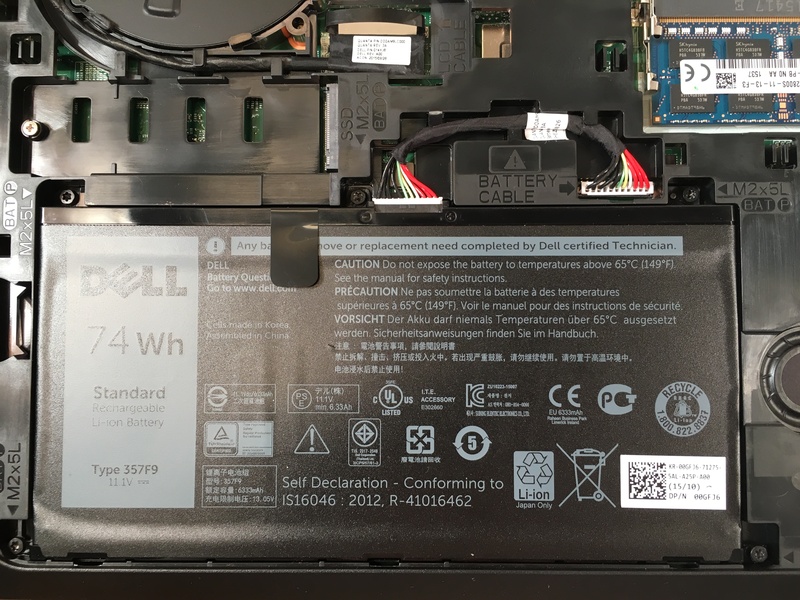 Dell Inspiron 7759 uses 74Wh / 6333 mAh battery, made by Suining Elentec Electronics Co. Its capacity should be enough for good battery life, but we’ll test that a little later. In addition to the battery you can see the subwoofer, which is part of the 2.1 audio system. 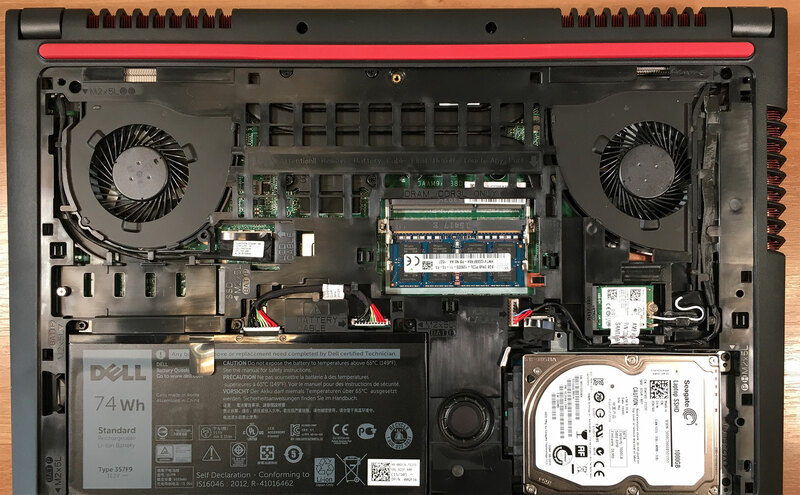 Inspiron 7559 has a well-built cooling system with two fans and three shared heatpipes. We’ll check in detail how it cools the notebook under high load in our temperature section. The hot air is lead out to the left and rear sides, which is good, considering the fact that you can use an external mouse on the right – your hand won’t be unnecessarily warmed up. 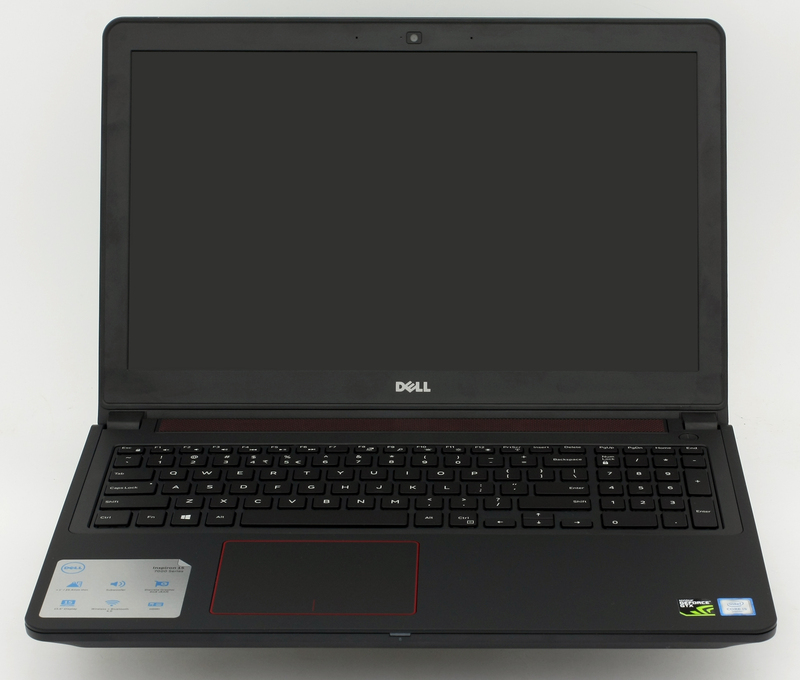 Dell Inspiron 7559 has a Full HD display with an IPS panel and matte finish – model number NV15N41, built by BOE. It is a 15.6-inch (39.62 cm) screen with a resolution of 1920 x 1080, 16:9 aspect ratio and pixel density of 141 ppi, at 0.18 x 0.18 mm pixel pitch. The display can be regarded as “Retina” (the eye cannot distinguish separate pixels) when viewed from distance equal to or greater than 61 cm. 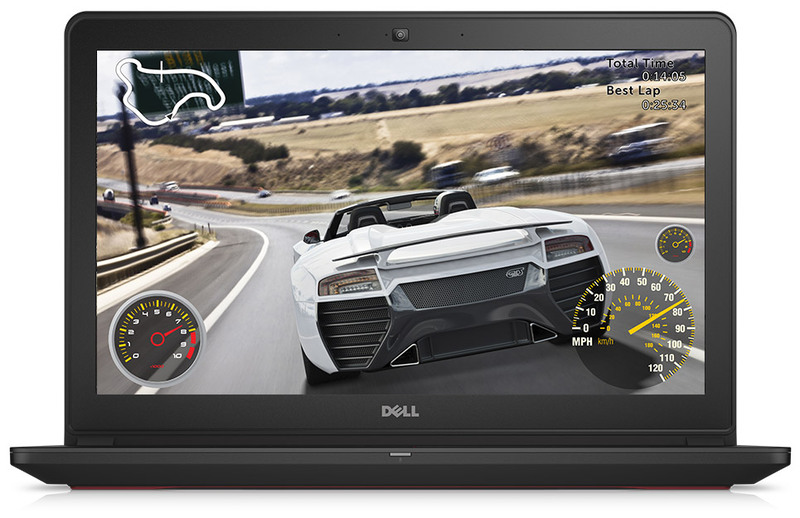 Dell Inspiron 7559 offers comfortable viewing angles, as you can see in the 45° image below. The measured average maximum brightness pre-calibration is 197 cd/m2 with 9% deviation. The average color temperature on the screen is 5770K – pretty close to the optimal (6500K). There aren’t any unacceptable deviations on the display. The yellow triangle below represents the coverage of Dell Inspiron 7559’s display – 55% of the sRGB color gamut means that it won’t provide very saturated colors. The image below is practically the same as the one above, but this time you can see the colors that have 100% and 50% saturation, as well as the reference colors indicated by the white dots. The gamma curve aligns almost perfectly with the standard 2.2 after calibration. You can also view the color temperature on the graph below. We calibrated the display at 140 cd/m2 brightness and color temp of 6500K. We tested the display using 24 commonly used sample colors like skin tones, grass, blue sky, orange etc. The average DeltaE 2000 is equal to 0.89 after calibration – this adds up to pretty accurate color reproduction. The contrast ratio is 1420:1 before and 1250:1 after calibration. We also included other colors in the test, as you can see from the graph below. 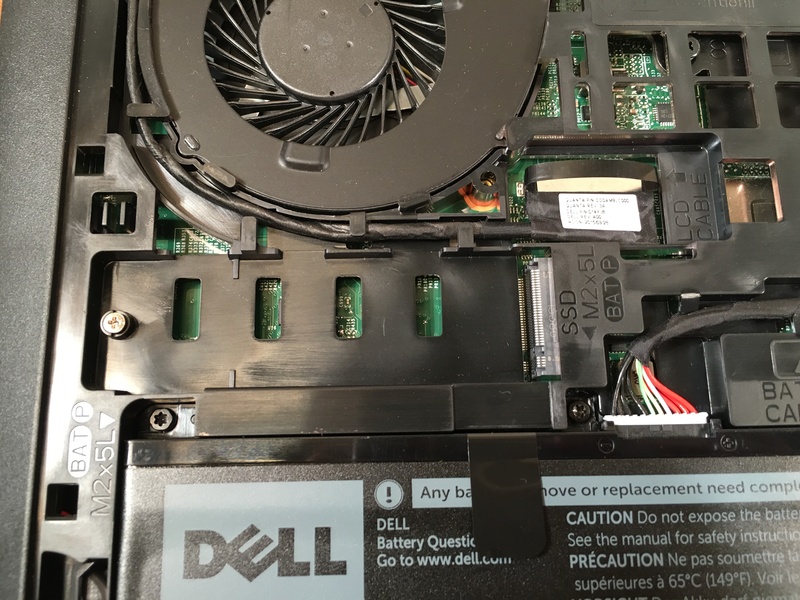 Dell Inspiron 7559’s display uses PWM. However, the frequency of the pulsations is very high – 20.5 kHz, which reduces the negative effect on the eyes. Dell Inspiron 7559’s display has high resolution and accurate colors, according to ColorChecker. Viewing angles are comfortable and the contrast ratio is high, but the coverage of the sRGB color gamut is relatively poor. It is suitable for watching videos, browsing the web, gaming and various business tasks, or in other words, anything that doesn’t need accurate colors. Dell Inspiron 7559 provides good stereo sound with high maximum volume. The low and middle frequencies have great quality, but we detected some deviations in the highs. The 74Wh battery should provide juice for the 45W Core i5-6300HQ, GeForce GTX 960M and the Full HD IPS 15.6-inch screen. These consume the most energy in 7559, but according to Dell, the battery’s capacity should still be enough for almost a full workday without your charger. 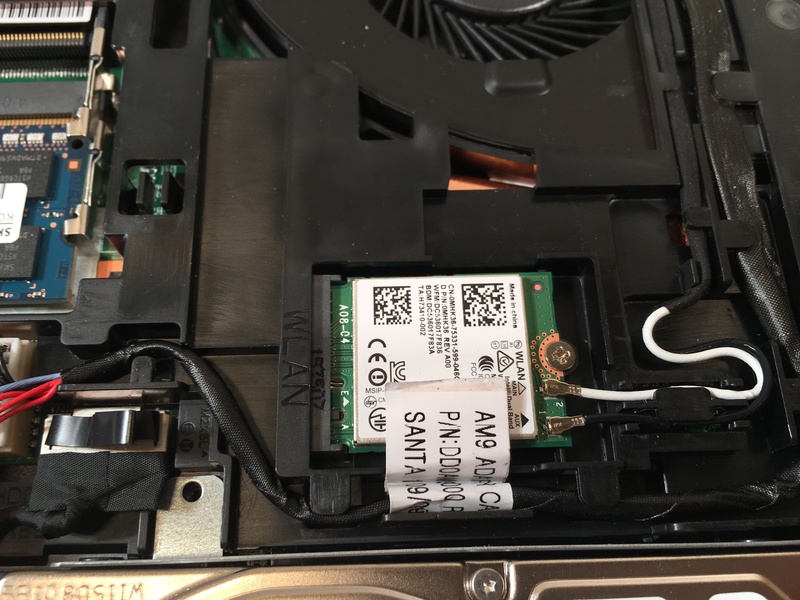 Since we believe in nothing but our own lab tests, we’re going to check what the laptop endurance will be in our Web Surfing, Video Playback and Gaming tests, at 120 cd/m2 brightness, Power Saver mode and connected Wi-Fi. As usual, we start with Web browsing, where we use a custom script to automatically load different popular pages. An awesome result of 461 minutes (7 hours and 41 minutes) is exactly what we were promised, and we’re pretty happy with it. Keep in mind that we aren’t talking about a ULV CPU and moreover, we have a Full HD IPS screen. For our Video playback test we use 720p HD video. The outcome of our Video playback test considerably lower – 333 minutes, or 5 hours and 33 minutes. Still a good one, though. For accurate simulation we used the F1 2015 benchmark running on a loop with graphic settings set to minimum. We can use our 7559 as an ‘On-The-Go’ gaming machine as well, since it managed to stay on for 182 minutes (3 hours and 2 minutes), playing F1 2015, on a single charge. Here you can see an approximate comparison between the CPUs that can be found in the Dell Inspiron 15 7559 models on the market. This way you can decide for yourself which Dell Inspiron 15 7559 model is the best bang for your buck. Fritz is a chess benchmark that tests the computing capabilities of the CPU with various chess moves. The Intel Core i5-6300HQ managed to get 8.802 million moves per second. In comparison, one of the most powerful chess computers, Deep(er) Blue, was able to squeeze out 200 million moves per second. In 1997 Deep(er) Blue even beat the famous Garry Kasparov with 3.5 to 2.5. The GeForce GTX 960M (4GB GDDR5) is a high-end graphics card, but is used mostly in budget gaming laptops. It is part of the Maxwell family of GPUs. It features 640 CUDA cores, or simply – shading units, along with 32 ROPs and 53 texture units. It has 4GB of dedicated VRAM (GDDR5 here). The bandwidth of the memory is 80.2 GB/s and the bus is 128-bit. The GTX 960M uses the same GM107 GPU core that we saw in last year’s 860M, but this one is targeted at bumping the notebook’s battery life and adding some extra performance. The latter is not emphasized as much. However, the GM107 is clocked a bit higher than last year’s model – 1097MHz base clock and boost of up to 1176MHz. It also supports resolutions of up to 2048×1536 through VGA and 3840×2160 through DisplayPort and HDMI. Here you can see an approximate comparison between the GPUs that can be found in the Dell Inspiron 15 7559 models on the market. This way you can decide for yourself which Dell Inspiron 15 7559 model is the best bang for your buck. We conducted the gaming tests in Full HD resolution, with driver version 361.43. 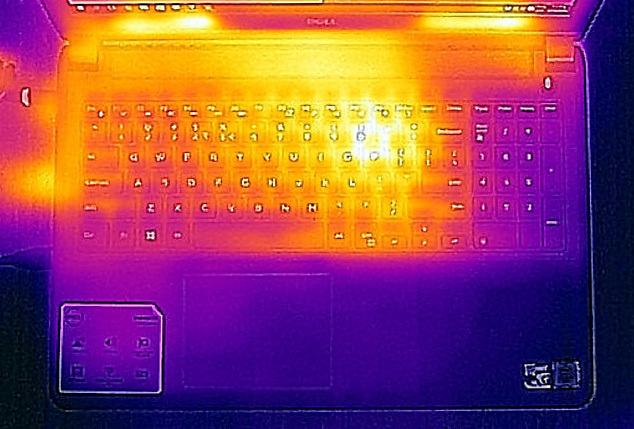 When idling, Inspiron 7559’s CPU hovers around the 35-40°C mark, which is pretty normal. When we started the 100% CPU load, the temperature of the cores rose to 70-73°C, but a minute later they bounced back to 63-68°C, with a clock speed of 2.8GHz. Inspiron 7559 kept things like that until the 30 minutes mark, when we added 100% GPU load in addition to the 100% CPU. It was a nice surprise that 60 minutes later (30 mins CPU + 60 minutes CPU/GPU load), the processor was still running at 78-81°C, / 2.8GHz and the GPU – 69°C, (and 540MHz/2500MHz clock speeds). Here is how the surface temperatures look at the end of the tests (but before we stop). 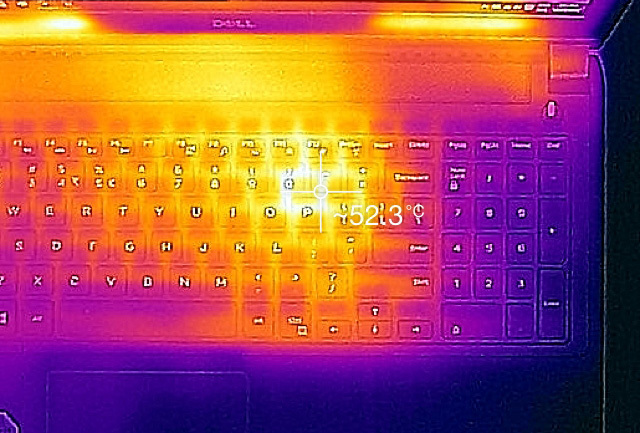 The hottest point is around the “P” key, with a temp of ~52°C. Not that much and certainly won’t compromise one’s comfort, although chances are you won’t be able to put such a burden on your notebook anyway, that is, without the use of synthetic software. Leaving price aside, we have a great gaming (yet elegant) machine with decent hardware aimed to suit the needs of those who can’t afford to spend a huge amount of money (the flagship GPUs aren’t cheap at all), but still want to have fun playing the latest games – if not on the highest, then at least on medium settings. The work of the powerful GPU and CPU will be displayed on a Full HD IPS screen, which, for good or bad, has relatively low maximum brightness. It uses PWM for all brightness levels below 100%, so we recommend keeping the slider on the max setting. On the bright side, the most common colors are accurate (DeltaE = 0.89), and the viewing angles are great, as expected. We can’t go without some positive words about the battery life, which got up to almost 8 hours on one charge in our Web Surfing test. 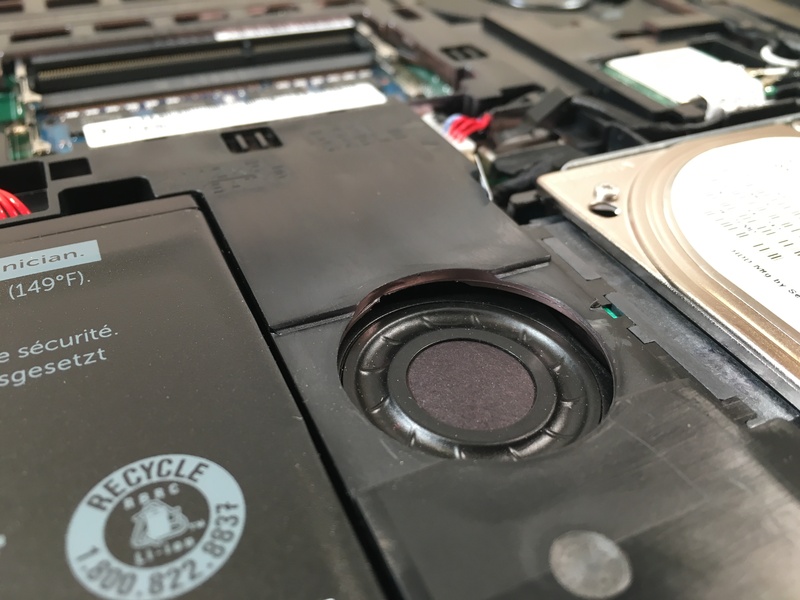 Something else that impressed us (yes, that’s hasn’t been typical of us of late) – the superbly simple access to the HDD, M.2, RAM and Wi-Fi in the notebook – just remove the service lid held by a captive screw! Great review, like always! 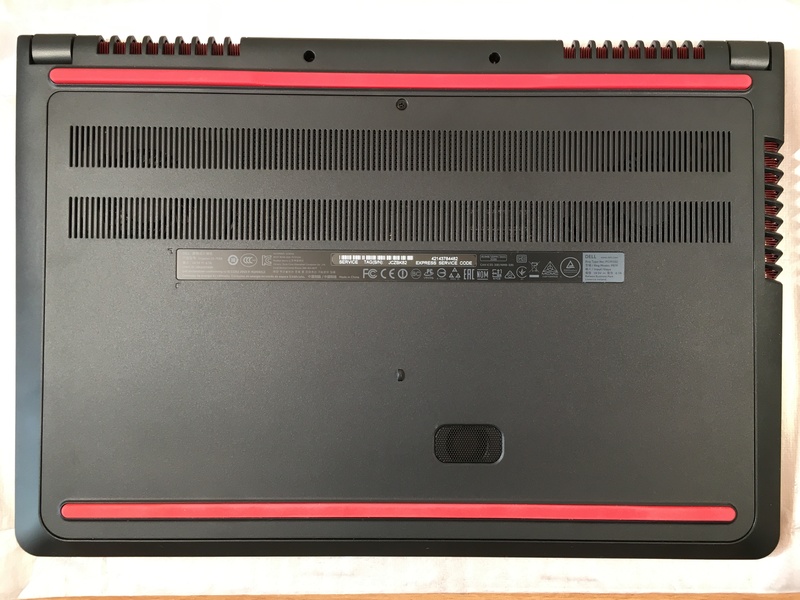 I am interested very much in this laptop, do you have any idea if the 4K version would have better RGB coverage and maybe even without PWM? It is not as bright as the Vaio though, probably like 50 nits lower, but in practice it does not matter. It probably does not use PWM or it uses a very high frequency – I am very sensitive to it, and couldn’t see any flicker. 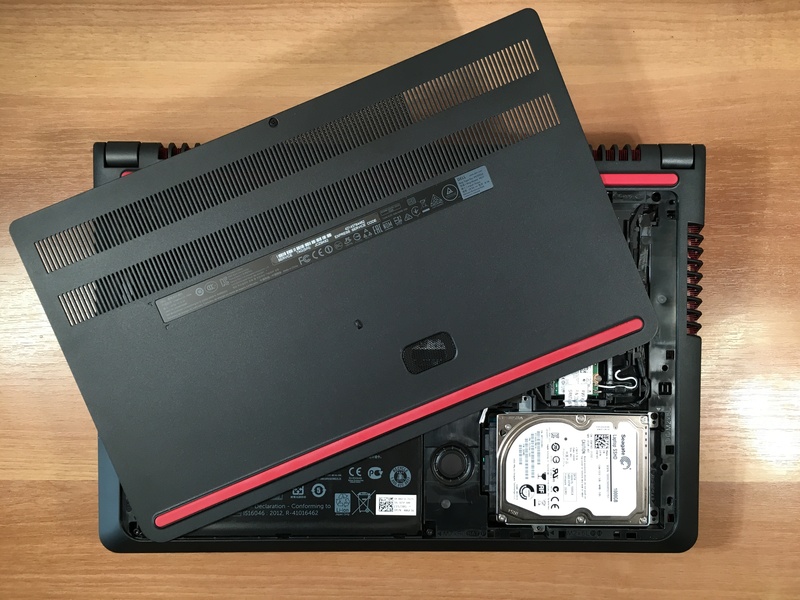 I think this laptop should be a favourite for anyone willing to add or change parts – which is super easy. Once you did your mods you can have whatever configuration you really like to have in a laptop – well done Dell! Agree with everything in this review; the upgradability of this laptop for the price is incredible but the BOE screen is dreadful, worse than my Lenovo y510p TNT screen from 2013. I am going to swap it out like many others and then this will be my gaming laptop for the next 2-3 years. Why is nice surprise when GPU throttle to 540Mhz? gpu is not throttled, when load is minimal core clock tends to be 540ish, i have played at 90 celcius on bed and then also gpu doesnt throttling…….cooling system nd bios is robust and discourage throttling!!!!!!!!!!!!!!! Which laptop would you say has a better screen: this Dell 7559 or Lenovo IdeaPad 700? Having read reviews of those two I’ve got an impression that both screens are not that great. 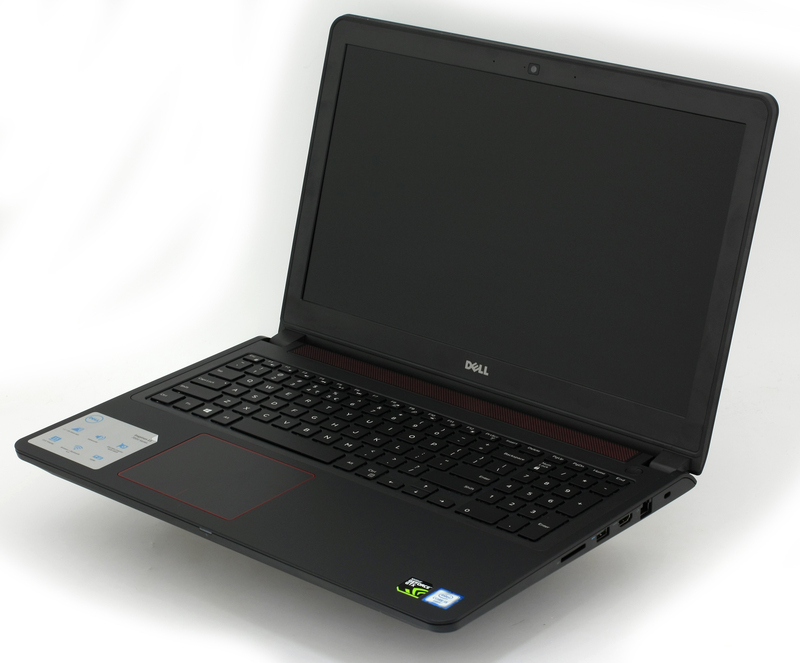 The laptop would be used mainly for image edditing and occasional gaming. My eyes were on Dell, but Lenovo is 200 euros cheaper and the rest of the specs seem to be not so different.